About time I put up one my Leicester Mercury reviews. 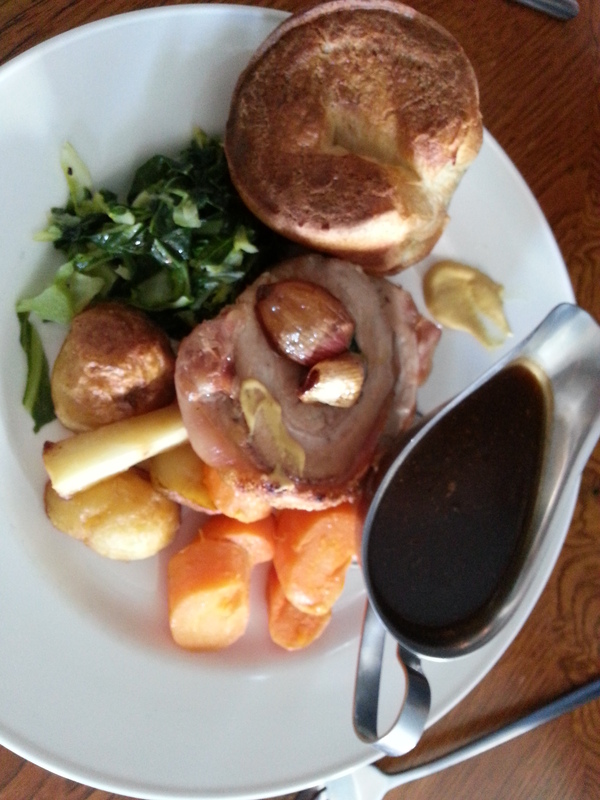 This one is of a very pleasant Sunday lunch at The Three Crowns in Wymeswold. I’m not saying this is destination dining, but you know when you’ve had one of those meals out and you keep giving little mental ticks at things that have been nicely done? That was this – good fresh ingredients cooked and presented with care can go a long way. Cost: Sunday lunch £15 two courses, £19 three courses. Wymeswold is a rather lucky village. It’s got a first-rate fine dining pub in the shape of the Hammer and Pincers, then there’s the Windmill which is part of the lively Little Britain Pub family of gastropubs and now a third pub offering good food. The Three Crowns was traditionally more of a drinkers’ pub but last summer it was rented from Punch Taverns by cricketers Stuart Broad and Harry Gurney and given an extensive smartening up, along with help from their pal Dan Cramp who has made a great success of the Larwood and Voce pub at Trent Bridge. Sensibly, it’s not a cricket themed pub – no Square Leg of Lamb or whatever. 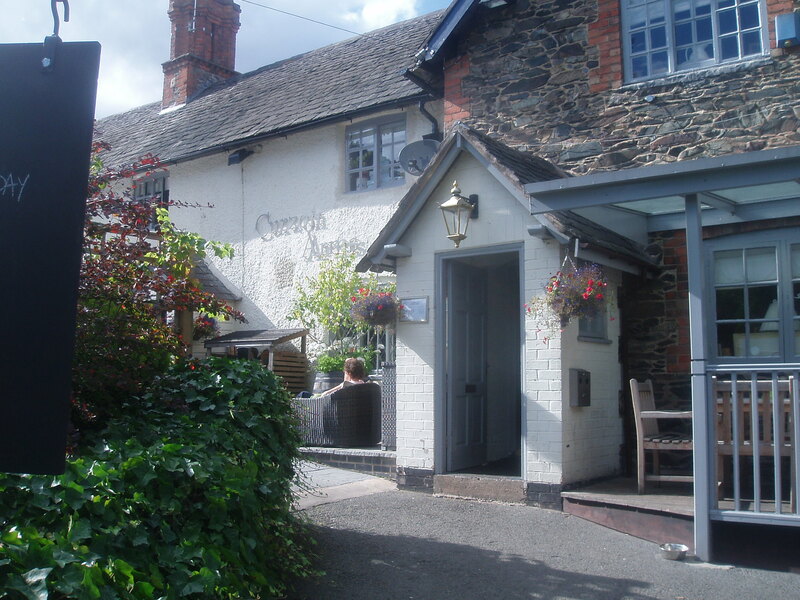 Indeed there’s no overt links to its owners, just a nice and tidy English village pub with pictures of old Wymeswold on the walls and some ancient low beams which caused a regular problem for our 6ft 3in barman. Our Sunday lunchtime visit didn’t get off to a great start. It had been a bad enough week for City fans without going into a pub and seeing Harry Kane’s face on the television celebrating yet another hat-trick. Fortunately our table space was in a quiet little corner away from the main TV area and we could focus on the food and drink. The pub still has that pubby feel but the weekday menu is veering towards restaurant territory with the likes of chicken liver parfait with winter fruit chutney at £5 and pan fried sea trout with leeks, mash and pesto at £11. It’s the kind of menu you look at and think – if this is done well, it looks a bargain but if their heart’s not really in it, it could be very dull. On Sunday it’s £15 for two courses, £19 for three and there’s a choice of around four starters. One look at ours when they arrived suggested we were going to be fine. 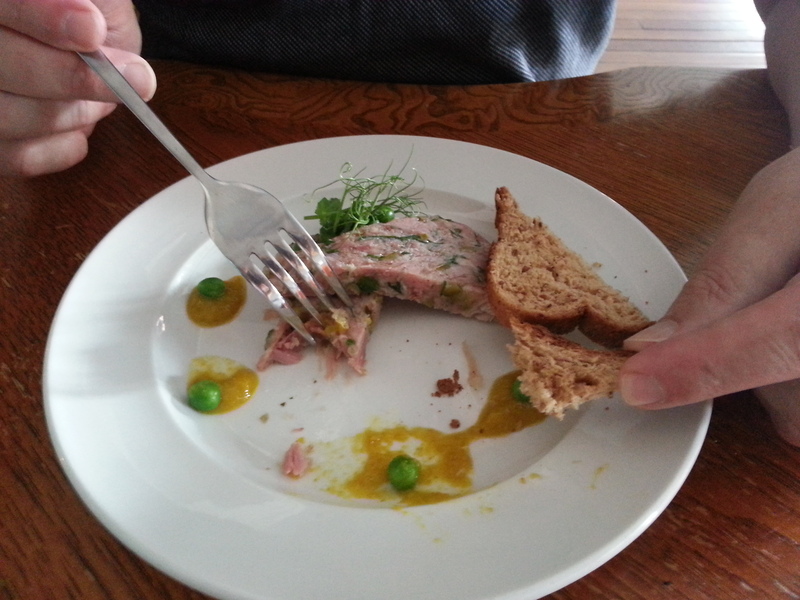 A block of ham hock terrine looked lovely – deep pink meat flecked with green herbs. It tasted fine too. With some cornichons, a teeny little pan with some fiery English mustard, a few microherbs and a big doorstep of excellent toast it was an entirely pleasing assembly. The same could be said of a superficially simple starter of Colston Basset stilton with pear, walnuts and gem lettuce. Not only were the individual ingredients all delightfully fresh, but they worked together splendidly. The cheese, lightly crumbled here, was creamy and the nuts were super fresh. There’s not much worse on a plate than nuts that have gone a bit stale but these were big, fat and crunchy and matched harmoniously the rich cheese while the neatly-pared slivers of pear added sweetness. Sunday lunch can sometimes be treated as a bit of a cash cow by pubs, so it was nice to see a level of care and precision being applied in this unpretentious setting. There were three real ales on tap, including the fruity Black Sheep from Masham in North Yorkshire which was a good match for ham hock, while from the craft beer section the spicier Rare Red rye from Caledonian stood up well to the mild cheese. Main courses on Sunday were beef top side, loin of pork, chicken breast or roasted celeriac risotto with basil pesto. The beef was offered “pink or cooked through” – an ambitious promise during a long Sunday service but we ordered and it came precisely as pink as you’d want. It had excellent flavour too. The yorkie was superb – crunchy but not brittle around the edges, fluffy and not soggy in the middle, virtues shared by the excellent roasted spuds too. Kale and cauliflower were perfectly cooked too – in fact probably the only issue we had with anything during our lunch was the rather insipid gravy. Not horrid, just a bit of a let-down when everything else was bringing nods of approval. A shared glass of a big, fruity Argentinian Malbec was suggested to go with the beef and it was indeed a lovely addition. The pork loin was well-flavoured but also with dull gravy. I suspect a few pork lovers would have been disappointed with the small slivers of crackling but too me this was just right – a wee mouthful to give a hint of crunch but no inedible tooth-threatening slab. We shared a desert straight out of the home-cooked comfort food canon – pineapple upside down cake. It was a fine version – lightly browned on top, nice light sponge inside and surrounded by a light and frothy custard laced with rum. Staff were young, friendly and cheerful and service was prompt and helpful. It all added up to a nice relaxed Sunday environment. Whichever venue you choose in Wymeswold, with Springtime on the horizon the village is a good choice for city and town dweller looking for a run out to the country. Doing this job, I’m often asked for recommendations for places to eat. It’s a question that usually prompts a lot more back from me – who’s going, what do they like, what’s your budget, will you be driving, are you looking for formal or informal? Pointers for a good Sunday lunch are a particularly common request and my questions are just the same. Most restaurants or pubs that do food should be able to rustle up a decent Sunday roast, and so the key questions are budget and the kind of venue you want. 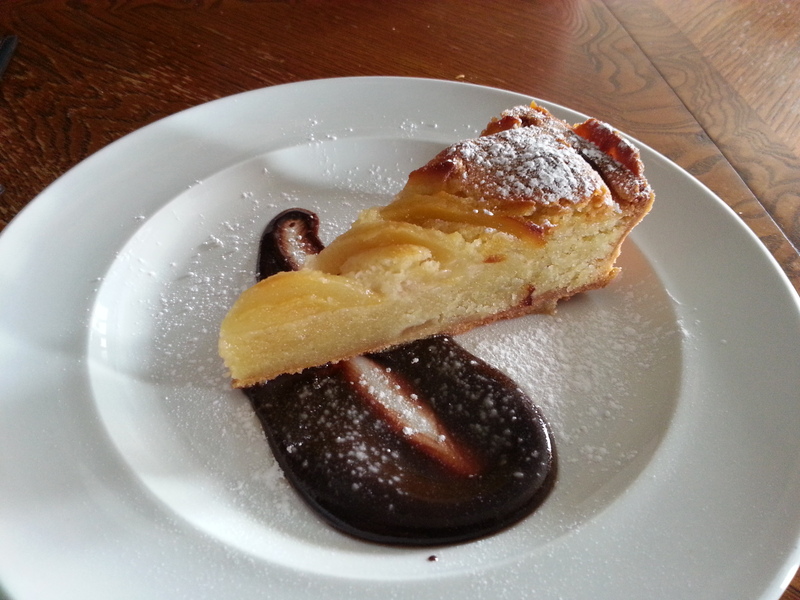 Last week I reviewed a smart country pub in a relatively remote village that for many is priced in the special treat category. This week it’s a funkier urban venue that is easily accessible for most city-dwellers and which offers tremendous value. The Font will be well-known to those connected with nearby De Montfort University and the Royal Infirmary. But, tucked away on a back street, it’s a bit off the map for many others who might enjoy its relaxed Sunday vibe. You wouldn’t describe it as cosy – it’s a large, high-ceilinged room in modern building with a long bar with some high stools and ledges for perching and some fairly rough old furniture laid out like a refectory. That said, while there’s piles of magazines and fliers around the place, it doesn’t have that Student Union feel of some of chain pubs in the area. It feels like an independent place run by people who care and where everyone is welcome. It’s regular menu is fairly standard drinker’s fare of burgers, nachos, all day breakfasts and so on but done well enough to suggest that standards matter to the kitchen. On Sundays the lunch offering is slimmed down to a couple of starters a choice of three roasts and a couple of desserts. At £12 for three courses this looked a bargain – as long the food was of good standard. I started with a great peppery leek and potato soup, with big crunchy croutons and a cheffy chiffonade of leeks to garnish. Winter had finally arrived on the day of our visit and this was a very good warming soup dish with good flavour and texture. The other starter was of ham hock croquettes – well-made, tasty little nuggets with some fresh, crisp leaves in an excellent honey and mustard dressing. Our roasts – one beef, one turkey – were absolutely fine. Plenty of good quality meat, some really outstanding roast potatoes and excellent freshly prepared yorkshire puddings. There were three vegetables including some cheese-topped broccoli in portions than amounted to an elegant sufficiency rather than the Desperate Dan approach you can find yourself adopting at a carvery. The pub does have some good offers on wine but on this occasion we stuck to a couple of craft beers from Meantime and Vedett – both a happy match for a Sunday lunch. Desserts changed from the printed menu, offering confirmation that dishes here are prepared from fresh and when they’ve gone they’ve gone ,rather than another batch being defrosted or whatever. Home-made rice pudding with home-made raspberry jam and chocolate brioche soldiers was unashamed nursery pudding heaven and a cheesecake with chocolate shards and chocolate sauce was equally appealing. Staff reflect the venue – young, somewhat hipster but friendly, efficient and solicitous. No-one would claim this is truly outstanding food unmatched in the Midlands, but for a relaxed, informal but good quality lunch in the heart of the city along with the Sunday papers or a group of friends, the Font does a very good job and at a great price. Sunday lunch plays a special role in the lives of many Britons. For the lucky amongst us, it brings back happy memories of family life – for me, it was visits from my grandma and a gathering round the table while listening to Two-way Family Favourites. Today it’s likely to be one of the few occasions when people eat together around the table. Pubs of course have latched on to this and the pub Sunday lunch is possibly as much as a ritual as the domestic one. So as Autumn sets in and our mind turns from salads to more substantial comfort food, this column will take a couple of looks at this Great British institution. This week it is the Grey Goose in the South Leicestershire village of Gilmorton. Around six years ago the pub was extended and refurbished to the tune of of £1.3million – an expression of confidence at time when the economy was freefalling that if you provide good food the people will come. It’s steadily built a reputation over that time and the fact that Sundays now see it running three sittings to pack in the dinners shows that the appetite is still growing. It’s a contemporary-styled building – lots of slate grey – with a large dining area and arriving at 12.30 there was a lot of bustle and chatter. We were asked for a drinks order before we’d even all sat down which raised fears we might be hustled along, but they would prove unfounded and service was very good throughout our stay. The Grey Goose is a proper high-end restaurant in the week – we were hoping that standards would stay high on a day of the week when maybe some places would be happy to take the easy dollar. And looking at starters, they generally were. The exception was some under-seasoned devilled whitebait, with no discernible devilment, and a garlic mayonnaise with no discernible garlic – the fish themselves were ok but the dish failed to justify a £7.95 price tag. Much better though were some chunky lamb kidneys with wild mushrooms, two substantial chunks of lightly-breaded baked brie with plenty of cranberries and another dish of wild mushrooms in a roquefort sauce on sourdough toast. These were all substantial, well-cooked dishes with quality ingredients that set us up nicely for the main event. The centre of the pub is given over to a carvery (main course – £13.95) on Sunday and this is what two of us choose. It’s an entirely pleasing experience, with three huge joints being carved and served with great bonhomie. This was a proper Dickensian, Mr Pickwick vibe. Servings are huge and you are welcome to mix and match the roasts – in this case Aubrey Allen beef, Leicestershire turkey and pork loin. Turkey could wait for another day, but the beef was very good and the pork was sensationally good. You can then help yourself from the very wide selection of extras – acceptably crispy roasts, mash, peas, carrots, hispi cabbage, cauliflower and broccoli mornay, stuffing, yorkies, gravy, horseradish. Of course at a carvery some things – Yorkshire puddings especially – can’t quite measure up to what can be done when you serve fresh from the oven at home, but this was in general a creditable effort. The pub managed a complex operation with commendable smoothness. A nut roast is available but our vegetarian main courses were maybe preferable. A risotto of slow roasted tomatoes and creamy goat’s cheese was possibly a bit over salty but was deeply flavoursome and Thai vegetable curry was lively and vibrant and served with a touch of flair – it certainly measured up to versions I’ve tried in UK Thai restaurants. The wine list is helpfully designed and annotated to make easier to pick an appropriate style and our Lunaris malbec from Argentina met with universal approval, though sadly the pub seems to have succumbed to the current fashion of serving its ale far too cold. A couple of shared deserts of good, soft creamy ice-cream – we had salted caramel and pistachio – and a very light citric tart of lime and elderflower with some beautiful fat, sweet berries and we were done. Back home to fall asleep in front of the TV. On a weekend when we were mourning the deadly attacks on people enjoying simple pleasures in Paris, the pleasure gained from this time-honoured aspect of our lifestyle seemed especially sharp. I don’t go out for Sunday lunch all that often, and if I do it’s usually in the countryside. I’ve not really been aware of anywhere in the city that was worth the effort. Yesterday though I made it down to The Font on Gateway St, near De Montfort University and had a pretty good three course at a very reasonable £10 – certainly good enough to make me think of going again. It’s a big old barn of a bar but has got a nice laid back vibe, a bit in the vein of Orange Tree bars. Naturally it does a lot of student business, but in the middle of August it was all nicely chilled with a couple of family groups and a few football fans having some quiet ones before the match. I’ve heard praise for the pub’s regular menu of standards – the burgers and fish and chips in particular – but on Sundays there’s a pared down menu of two or three choices for each course. I started with a ham hock terrine. This was remarkably good – well-made, with deeply flavoured ham speckled with parsley and matched with a delicious piccalilli relish and fresh peas and shoots. It would have sat comfortably as a starter in far smarter restaurants. The main event of roast pork also featured very tasty meat, but the veg were rather disappointing. Greens and carrots were a bit overdone and the roasties and parsnips gave the impression of having hung around a bit long. I should add my pal said they were just the way he likes’em – and I was certainly happy to hoover up everything on the plate. I just felt the kitchen had the potential to do it better. It was all washed down with a few halves of the hugely-hopped and massively-modish Punk IPA from Brewdog. Overall, excellent value and it set me up very nicely for the opening home match of the season. Shame it was such a tedious 0-0 but at least Sunday was not a total waste. (Thanks to Rob for the photos). Just a very quick recommendation for Sunday lunch here. After a bracing six mile walk up and down Beacon Hill yesterday, we ended up back in Woodhouse Eaves and at the Curzon Arms. It’s a smartened up community pub serving a rather smart community – hence soft sofas inside and big parasols providing a nice alfresco dining area too. It could be horrid, but somehow avoids gastropub smugness and just feels all rather nice and civilised. We ate outside on a warm day and first off enjoyed an excellent pint of Cornish Doom Bar ale, barely touching the sides after that long walk. We then got stuck in to some excellent beef (sirloin, 28 day matured, plenty of it), roast pork loin with sage and onion stuffing, and a very tasty duck and apricot pie. Veg were excellent – crisp roasties, cauliflower cheese, purple sprouting broccoli and shredded cabbage that was beuatifully crunchy. The gravy seemed a little undepowered and the Yorkshire pudding wasn’t perfect but neither detracted from a superior lunch. Deserts too were enjoyable – a smooth mint chocolate pot with crushed amaretti, mixed fruit Eton mess, sticky toffee pudding and cherry frangipane were all well made. Not that cheap at £14.50 for two courses but the food is good, the service friendly and willing and the surroundings charming. The owners are reproducing the template at The Windmill in Wymeswold, which I think is due to open any day now and should be worth checking out if you are in the area.